Last year, GreaterGood.org took an interest in The Jackson Galaxy Foundation, which had already run two successful semesters of the Cat Pawsitive program. And this past October, The Jackson Galaxy Foundation merged with GreaterGood.org and became The Jackson Galaxy Project, a signature program of GreaterGood.org! You can read more about the merger at thejacksongalaxyproject.org. 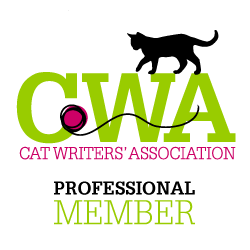 What does the merger mean for the Cat Pawsitive program? 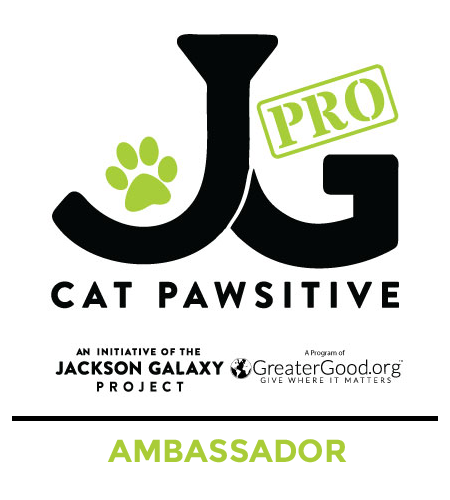 Well, for starters, The Jackson Galaxy Project (JGP) was able to expand on the already established program and it has now become Cat Pawsitive Pro (CPP). That means that more shelters across the United States can participate in the clicker training program, which means more shelter cats will benefit! Queen Sasha at Carver Scott Humane Society works on targeting. Blu at BARCS Animal Shelter. Watch Blu in action! Murphy at Carver Scott Humane Society – already adopted! High five to that! The ten participating shelters are listed below, and each shelter has staff and volunteers currently working with their cats. And what do you know – several of the CPP cats have already been adopted! Jasper at PAWS. First some training, then some loving! I’m happy to have returned this year as a volunteer writer for the program. Two of my three shelter articles have already been published and you can read them on the JGP website. I will also be responsible for checking in with each shelter for mid-program updates and once again after the program has completed. 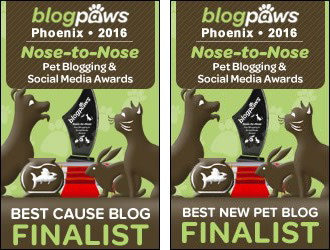 Stay tuned for more to come from Cat Pawsitive Pro! You can read about all of the shelters at thejacksongalaxyproject.org – not just mine! Want to see how last year’s program went? Check out this wonderful video created by Susan Gaskey. The inspiring video touches on initial thoughts on the program and features many staff and volunteers from the shelters. And best of all, you get to see the cats in action and see their success stories – as well as some that were adopted! Be sure to follow all of the Cat Pawsitive Pro updates on the JGP’s Facebook page! ***All photos and videos used with permission from The Jackson Galaxy Project. What do you think about Cat Pawsitive Pro? Do you think your local shelter cats would benefit from clicker training? Previous Flashback Friday Photo Fun! I had no idea you could clicker train cats! and what a fantastic way to keep them busy in the shelter! awesome!!! That really is a great idea, but of course anything that helps adoptions is always a plus! This is really cool! There is an account I follow on IG with deaf cats that clicker trains with a light! Just goes to show that cats rule!!! I hope something like this will be done here, on this opposite side of the ocean! we thinkz thiz izza awesum eye dea N see a shelter on thiz list that gram paw dude came frum !! I’ve been a fan of Jackson Galaxy from his show on TV My cat from Hell, however was unaware of this cat pawsitive program. 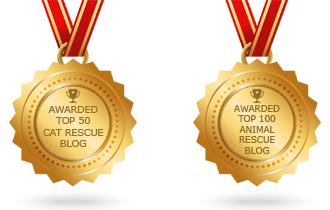 How wonderful over 300 cats have been adopted as a result. I’m sure this program will continue to grow and flourish. Will have to share this post as well. Wow, I am totally impressed!!!! Then why am I so shy about trying to clicker train my own cats…?!? I didn’t know about the merger but it sounds like it is really going to help so many more cats. I have always been drawn to the shy cats and agree that they often get overlooked in both cageless and more traditional shelters. 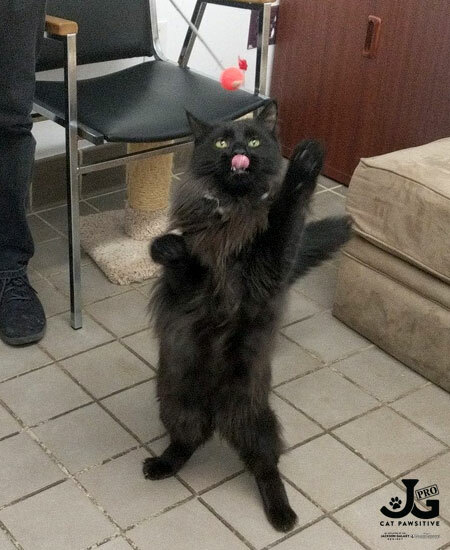 I would love to try Cat Pawsitive training with the cats at the shelter where I volunteer. I wonder how the training would differ with cats in cages vs. cats in cageless shelters. This merger sounds like WONDERFUL news. Bein’ able to help even more cats in shelters is a wonderful thing. Now ’bout this positive reinforcement trainin’ thing… DOES IT WORK WITH PEEPS? Inquirin’ minds wanna know. MOUSES! 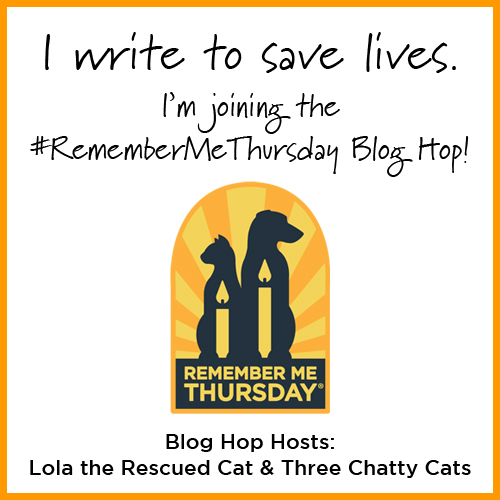 Sounds like a wonderful project-I always feel so sorry for the shy cats-this will be great if it gets more adopted out! Awesome and a great technic to make cats more adoptable. I have heard a clicker as mom has tried to train me in the fine art of a leash. I hate the sound of the clicker and run away. I hate that noise. Kitties who can stand that sound are far and above better than me. Well, I won’t say better. I’d say different. Yay for Murphy already being adopted and yay for this program! I am so happy about the expansion!! 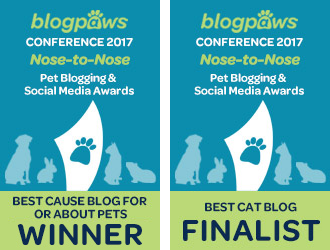 This is all pawtastic news! This is such a great program, I wish more shelters were involved. This is so exciting! I’ve never tried clicker training but it sure sounds like fun! I know a lot of folks who clicker train. This warmed my heart to learn of the merger, as it sounds very paw-sitive and a good idea for everyone involved. Purrs for a fab blog post! Two of my own cats have been clicker-trained. The third is a former feral. Training her takes a lot more patience and effort, but we’re sticking with it. Yes, I’d love if our local shelters would introduce clicker training to our cats. Unfortunately, I don’t think it’ll happen anytime soon…. Thanks for the update! As a volunteer at my local animal shelter I know first hand the benefit to shelter cats of good training. I absolutely love Jackson galaxy and am so pleased to hear about his program and the new partnership. 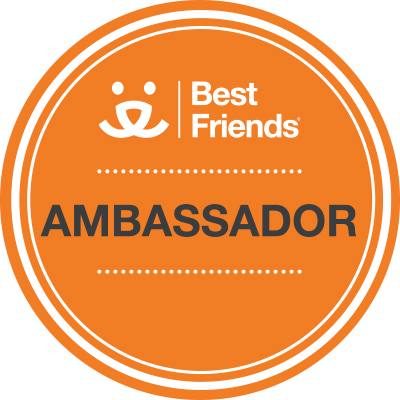 It must be so rewarding to be involved. I’m going to share this post with the Coordinator at my local shelter. Thanks so much for sharing! TW had bought a clicker once but never had the onions to use it. HAH! We love Greater Good Org. TW buys a lot from the Animal Rescue Site, including JG stuff. Hi Chatty Cats, we love your supurr informative posts guys, and that clicker training sounds purrfect fur assisting kitties in acquiring a happily effur aftur. We are all fur increasing adaptability by whateffur means available – great post and thanks fur sharing! How interesting! As a dog person I know little about cats, but I’m going to share this with a friend who volunteers with the cats at the Denver Dumb Friends League. What an awesome program! I’ve never heard of anything like this. What a great idea to help enrich shelter cats lives while also making them more adoptable. Love everything about it. Thanks for sharing! I remember as a kid being told that you can’t train cats. I didn’t really think about it much (we only had dogs) until my sister got her cats. 30 years ago she was training them to walk on a leash and do some tricks. I think that clicker training will help get cats out of the shelter and into loving homes. Anything with an aim to increase adoptions can’t be wrong! One of the participating shelters is in my area – though I’ve never heard of them before. I can’t wait to see more great work on behalf of the cats! We love this program. I hope that more shelters will participate soon. Thanks for such an excellent article. We’re going to do a link back to this post on our blog so people can learn more about it. That’s so cool! We love anything that helps cats be more adoptable, and this certainly fits the bill! Wow, that is just wonderful! I would love it if the shelters in my community chose to purr-ticipate in that program! And thanks for all you do in writing about the program! Mew Mew! 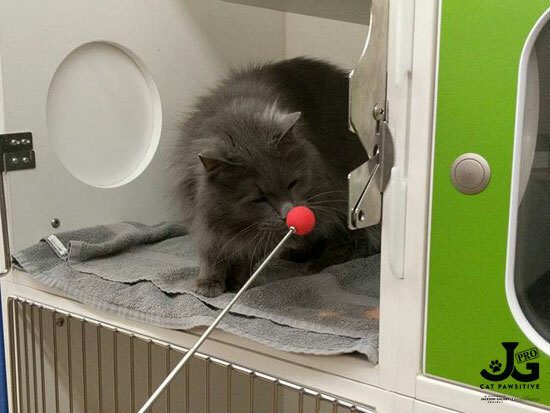 This is such a great program, and we’re so happy it’s helping so many kitties get adopted. We’re hoping shelters in our area participate. I’ve read about this program before and love everything about it. Awesome job raising more awareness, I’d love to see it gaining more momentum.